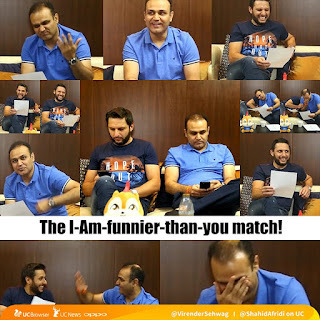 As legendary arch-rivals India and Pakistan battled against each other in the Asia Cup 2018, more than 9 million cricket fans had a ringside view of the cricket matches through the banter and bonhomie of the former cricketers Virender Sehwag and Shahid Afridi. 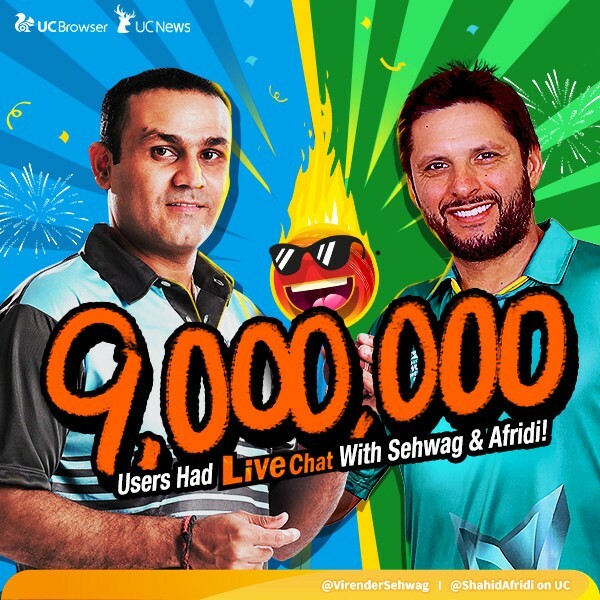 The two cricketers interacted with fans across the world via the live chat sessions hosted by UC Browser and UC News, the leading mobile apps from UCWeb, Alibaba Digital Media and Entertainment Group. Held on September 19 and September 23, the live interactive sessions attracted cricket lovers and beauty divas with over tens of thousands of recorded online engagements and nearly 4 million video views. The online reach of the UC Live Chat touched 17 million impressions.